The dire condition of economy in Iran under the rule of the mullahs. Regime President Hassan Rouhani appointed a new Central Bank chief in July and promised as recently as August 15th that Iranian currency would stabilize. The rial is still dropping in value, though, as is the “Bahar-e Azadi” gold coin, which was trading at 47.4 million rials as of Tuesday, according to the state-run ISNA news agency. The Jahan-e San’at daily described the source of Iran’s currency crisis, writing, “The starting point of this economic fiasco is rooted in the government’s currency policies. The primary problem is that regime agencies and the IRGC have a monopoly over Iran’s oil and petrochemical export industry, which allows them to profit from the currency crisis. 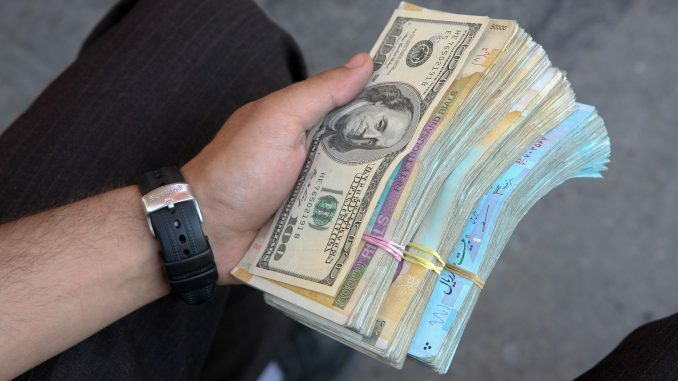 The regime set the currency rate at 4,200 rials per U.S. dollar. 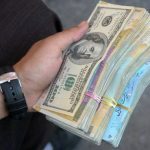 Individuals associated with the regime purchase U.S. dollars at this rate and then sell them on the black market for much higher prices. On Wednesday, prices on the black market soared to 200,000 rials per U.S. dollar. Those within the Iranian regime have no personal financial incentive to resolve the economic crisis because they profit from it. The result of the devaluation of Iran’s national currency is a surge in prices around the country, which has drastically increased the price of necessities. One of the first consequences of skyrocketing prices is an increase in the number of people living below the poverty line, say regime experts. Currently, more than 80 percent of Iran’s population lives below the poverty line. Meanwhile, those who buy up U.S. currency at the fixed rate and sell it on the black market get richer. The gap between rich and poor widens and the middle class shrinks more every time the rial rises. Rouhani claims that the currency devaluation will lead to increased exports and additional revenues, with a boom in non-oil exports. Even if this statement were possible or true, it could not possibly offset the economic losses caused by the continued devaluation of the rial. In addition, the devaluation of the rial impacts inflation and production and raises the prices of imports. Production is already an issue in Iran, with numerous factory closures causing production delays, as well as months-long delays in salaries for workers. The economic crisis has caused many Iranians to take to the streets to protest over the past year. The current uprising, which began last December and continues today, began because of economic concerns and soon spread to widespread calls for regime change. Because all of the people of Iran are affected by the regime’s corruption and mismanagement, people from all walks of life have joined the call for a democratic alternative to the mullahs’ oppressive rule and have joined the MEK in the fight for a free Iran.